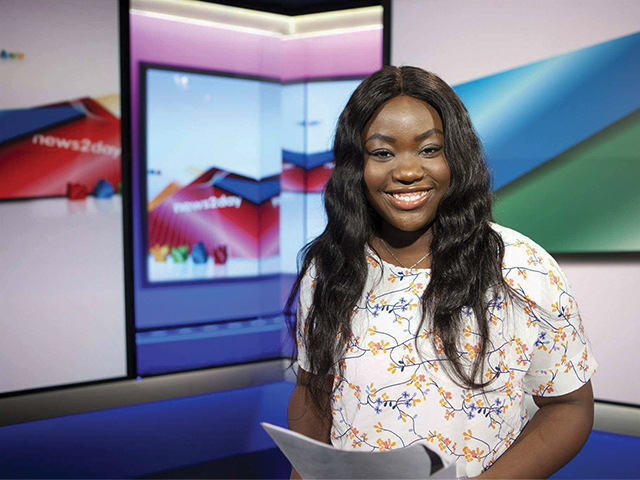 Former DCU journalism student Zainab Boladale has been named as a new presenter on RTÉ’s news2day program. Boladale, who will graduate from her bachelor of arts degree in Journalism from Dublin City University in November, was named as the new presenter on RTÉ’s news service for a younger audience on the 5th of September. She is joined as a presenter on news2day by current presenter Tommy Meskil who studied Communications Studies at DCU. Boladale previously worked as a digital news reporter and was named Journalist of the Year at the 2017 DCU Hybrid Awards. She also covered the Dubin Tech Summit for RTÉ as part of a team of fellow journalism students from DCU.